I visited this ex-peak this past weekend. 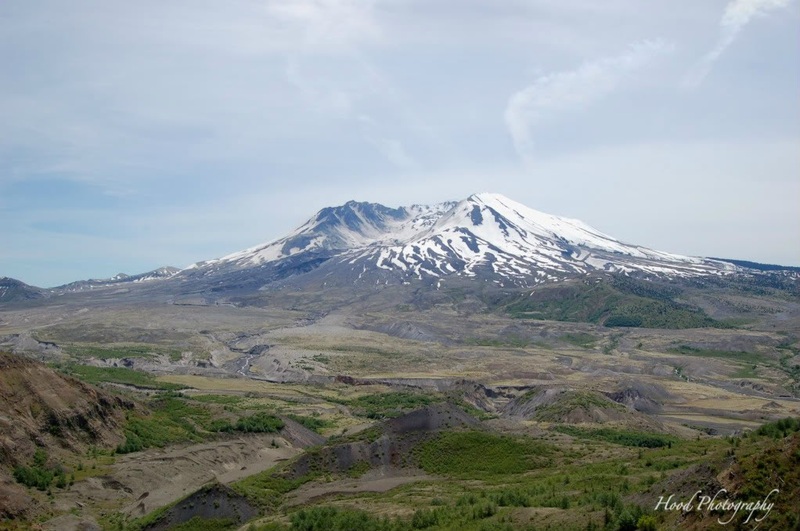 Back on May 18, 1980, a huge volcanic explosion rocked the Pacific Northwest and left the once perfect cone mountain in rubble. Now, 31 years later, things look better. But it won't be a lush forest again in our lifetime. Things are still barely starting to come back to life. The devastation is hard to believe, and even harder to capture in photo. En route to Portland in the early 90s, the plane flew over Mt Hood, and I could see the damage. I'll never forget it. Oh, I do remember that day! We were living in Montana at the time and that morning Great Falls was covered with ashes -- even from that far away! It was so eerie!! Lovely shot for the X Day! Enjoy! no Xplanation needed. It's good. Oh my was it really 31 years ago. I remember that day, and how we were glued to the TV watching the devestation. You did a great job for X. Enjoyed your read. No need to apologize. I thought this was a great take for "X" and a beautiful photo to boot! I've never been there, even though I lived in the Eugene and could feel it happen, though I didn't understand it at the time. Our home had a cement slab underneath and we had a water bed and I could feel the ground move. We were driving I-5 last week and were talking about it. People were coming from around the world to see it and take home little bottles of volcano ash. One guy was amazed that I hadn't rushed right up there! Anyway, thanks so much for stopping by to visit me yesterday, and for sharing your beautiful photos with us. How well I remember that...excellent photo. Please come and find out what the Letter X is at my page. Have a lovely day.